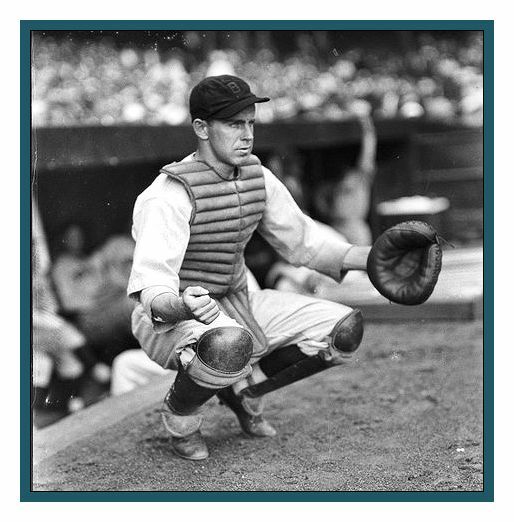 Hall of Fame catcher Rick Ferrell (1905-1995) caught in the American League for eighteen years (1929-45,’47) during two of America’s most challenging periods: the Great Depression and World War II. Playing for the St. Louis Browns, Boston Red Sox, and Washington Senators, his skill as a durable knuckleball catcher with a laser-accurate arm for picking off potential base-stealers was held in high regard. His .378 career on-base percentage is eighth, all-time, among 50 catchers with 3000 at-bats, according to www.sabr.org, and fourth among the thirteen major league Hall of Fame catchers, bested only by Mickey Cochrane (.419), Roger Bresnahan (.386), and Bill Dickey (.382). Richard Benjamin Ferrell was born on Columbus Day, October 12, 1905, in Durham, North Carolina, the fourth of seven sons of parents Rufus and Alice Ferrell. Rufus had enjoyed playing sandlot baseball, passing his passion on to his sons, who grew up playing the game together out on the homemade baseball field at the family’s 160-acre dairy farm near Greensboro. Six sons fancied themselves as pitchers, with Rick as the catcher who caught them all by the hour. Primarily self-taught, they played on high school and North Carolina county league teams during their teen years. Rick, Wes, and George ultimately developed lifelong careers as a major-league catcher, pitcher, and minor-league outfielder, respectively. Despite his slender build, at an early age, the quiet, hard-working Rick secretly aspired to become a professional baseball player and devoted all his efforts towards achieving that goal. From 1923-26, the 5’10”, 160-pound athlete attended Guilford College, locally, where he lettered in both baseball and basketball and received top coaching. To pay for classes, the muscular Rick boxed in county middleweight boxing matches, winning 18 of 19 bouts he fought. In 1926, the Detroit Tigers signed Rick for $1500. After three years in the minors, (Kinston, then Columbus) in 1928, Ferrell hit .333 and made the league All-Star squad, despite being on a seventh place team. After failing to be called-up to the majors in September, the catcher suspected that he was being unfairly buried in the minor leagues, a common, though illegal practice at the time. At the end of the season, a determined Ferrell traveled to Chicago to request free agency from the Grand Wizard, himself: baseball commissioner Judge Landis. After learning that the Columbus club and its players’ contracts had all been secretly sold to the Cincinnati Reds the previous off-season, Landis agreed that the catcher was being illegally held back and granted him free agency. After sorting through multiple, immediate offers from eight major league teams, Ferrell signed a three-year contract with the St. Louis Browns that included a $25,000 bonus—one of the largest ever awarded a baseball player at that time—which Rick promptly turned over to his father to help pay for the farm. 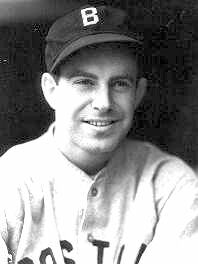 Browns manager Dan Howley debuted Ferrell, 23, vs. the Chicago White Sox on April 19, 1929, as back-up catcher to veteran Wally Schang. Rick got his first hit in his next game. The St. Louis Browns placed fourth, sixth, fifth, and sixth from 1929-32, despite having Ferrell, pitcher General Alvin Crowder and slugger Heine Manush on the team. Ferrell’s first year was his weakest, as he hit only .229 in 64 games as second-string. For the next three years as starting catcher under manager Bill Killefer (1930-32), Ferrell played in over 100 games per season and dramatically raised his batting average to .306 in 1931, becoming one of the premier receivers in the league. By the end of the 1932 season, Rick hit .315, the best among American League starting catchers, with 30 doubles and 65 runs-batted-in, while defensively, he had totaled 78 assists, of of the highest of any AL catcher. From 1929-32, Rick’s younger brother, right-hander Wes Ferrell, had gained instant major league success as a pitching ace for manager Roger Peckinpaugh’s Cleveland Indians. The only pitcher since 1900 to win 20 or more games in his first four years, Wes had won 21 games in 1929, 25 in 1930, 22 in 1931, and 23 games in 1932 while power-hitting home runs, as well. With 38 career homers, he is still often considered the best hitting-pitcher of the twentieth century. During the 1930s, Rick became one of several major league catching stars that included Mickey Cochrane, Bill Dickey, Al Lopez, Ernie Lombardi, and Gabby Hartnett. On May 10, 1933, young Boston Red Sox owner Tom Yawkey purchased Ferrell from the fiscally-strapped Browns with southpaw Lloyd Brown for catcher Merv Shea plus cash estimated at between $50,000 and $100,000. From 1929-early 1933 with the Browns, Rick had hit .289 in 430 games. With the east coast Boston Red Sox, the catcher enjoyed his best years, catching and hitting well. Two months later on July 6, 1933, Connie Mack chose Rick to catch the entire inaugural All-Star Game. The American League team, consisting of such luminaries as Babe Ruth, Lou Gehrig, All Simmons, Charlie Gehringer, and Lefty Grove, beat the National League, 4-2. Rick was selected to a grand total of eight All-Star teams (1933-38, 1944-45; no game in 1945 because of wartime travel restrictions). When Cleveland and his brother Wes played against Boston two weeks later on July 19, 1933, Rick homered off Wes, after which Wes homered off Boston’s Hank Johnson, marking the first time brothers on opposing teams had homered in the same game. They taunted each other about their home runs during the game and went out for a steak dinner afterwards. Rick caught a career-high 137 games in 1933. Yawkey was trying to buy a pennant-winning team, which eluded him. In 1934, due largely to Rick’s encouragement, Yawkey and Eddie Collins signed the ailing Wes to a Red Sox contract, creating the historic Ferrell brothers battery for the next three and a half years (1934 until mid-1937) under managers Bucky Harris and Joe Cronin. While extremely close, the Ferrell brothers presented a study in contrasts. In appearance, Rick was slightly balding with dark hair, slim and muscular, and looked like a banker or college professor; big Wes, 6’2”, and 35 pounds heavier at 195 lbs., was movie-star handsome with thick wavy, blonde hair and a big smile. Older by two years, Rick displayed a quiet, mild-mannered temperament while Wes could be brash and outspoken. Rick was a model teammate, a leader by example, considerate and helpful to others. Wesley was a hothead, at times, acting impulsively out of frustration and a strong desire to win. But while supremely competitive against one another on the field, off the field the brothers were extremely loyal, roomed together, and got along well. Speaking of Rick, Wesley observed, “Brother or no brother, he was a real classy catcher. You never saw him lunge for the ball. He never took a strike away from you. He’d get more strikes for a pitcher than anybody I ever saw because he made catching look easy.” In 1934, Rick led all American League catchers with a .990 fielding average in 128 games and was selected for the All-Star team, as Wes garnered a 14-5 record. A strong contact hitter, the catcher developed a pattern of hitting in the .300’s during the season until September, when due to exhaustion and the wool uniforms in the summer heat, his batting average would invariably drop. Yet he still hit over .300 five times during his career. In 1935 with Rick as his catcher and personal confidante, Wes pitched a 25-14 comeback season, using his “nuttin’ ball,” to compensate for an over-worked, lame arm. The pitcher hit .347 and was voted runner-up to league MVP Hank Greenberg. Boston’s “Lefty” Grove went 20-12. Rick got 138 hits for a .301 season and was selected to the American League All-Star team. In 1936, Rick hit for a .312 average in 121 games behind the plate and was again selected for the All-Star Game, but Boston placed sixth (74-80) in the standings. During an August game, the Ferrell brothers became embroiled in an embarrassing, volatile argument with umpire Lou Kolls, leaving the duo temporarily suspended and Red Sox management upset. The following June 10, 1937, as Rick was batting a strong .308, he and Wes were unexpectedly traded together with Mel Almada to the Washington Senators for pitcher Bobo Newsom and outfielder Ben Chapman. (Washington’s Cal Griffith would only make the deal if Rick was included.) Totaling a .302 batting average from 1933-37 with Boston, Rick had broken Red Sox catcher’s records in batting, home runs, doubles, and runs-batted-in. Rick Ferrell caught his final major league game on September 14, 1947, retiring as a player after 18 seasons in possession of the American League record for most games caught: 1,806. His lifetime batting average was .281; slugging average: .363. An astute judge of pitches, Rick tallied only 277 strikeouts in 6,028 at-bats, and drew 931 career walks. Nineteen percent of his 1,692 hits were doubles (324). With only 28 career homers, Ferrell, like fellow old-time catchers Roger Bresnahan (26) and Ray Schalk (11), was clearly a contact, rather than a power, hitter. His lifetime fielding average was .984. Ferrell coached another two years (1948-49) for the Senators and returned to the Detroit Tigers organization—his original organization-- to coach (1950-54) before retiring from the field altogether. After 25 years in uniform, most baseball players leave the game to pursue other endeavors. However, baseball lifer Rick Ferrell progressed through the Tigers’ ranks for the next four decades. He advanced to being a scout (1955-’57) for the Southeastern region (North and South Carolina and parts of Virginia and Tennessee), Tigers’ scouting director in Detroit (1958), then general manager and vice president (1959 –’74), and finally, to executive consultant (1975 – ’92) of the Tigers for President Jim Campbell. On August 12, 1984, the National Baseball Hall of Fame’s Veterans Committee inducted Rick, 78, along with shortstop Pee Wee Reese, into the National Baseball Hall of Fame at Cooperstown, NY, bringing the ultimate recognition to one of baseball’s quiet, devoted heroes. “I know of no one who deserves the Hall of Fame more than Rick Ferrell,” wrote Detroit Free Press sportswriter Mike Downey in August 1984. “I don’t know how they kept him out for so long,” commented Kell to the Free Press then.